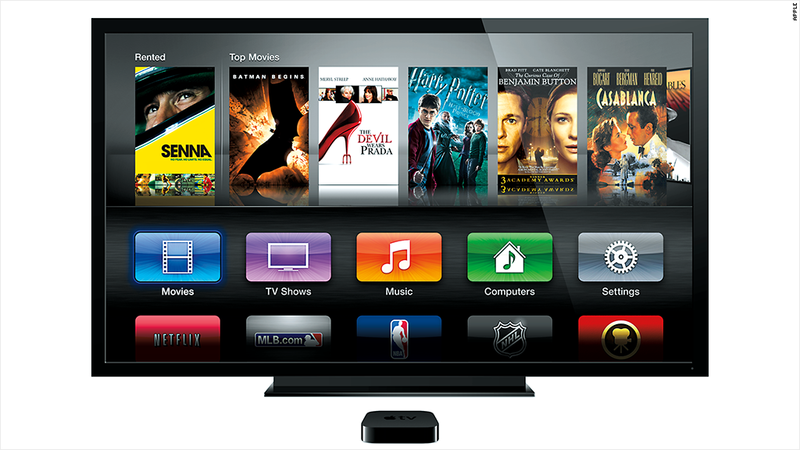 It's time for Apple to open up Apple TV to its vast third-party app system. If there was ever a time for Apple to open up its Apple TV platform to third-party apps, that time is Monday at Apple's annual Worldwide Developers Conference. Sure, Apple is likely to give us the first glimpses of iOS 7, Mac OS X 10.9, new MacBooks and its "iRadio" music service. But significant as those are, there's little intrigue to be had. Rethinking the Apple TV could provide some newness at Apple that techies have been calling for, and it has the potential to restore a little mystery to the Cupertino juggernaut. It has seemed inevitable that Apple's vast array of app titles would pop up on the Apple TV ever since Apple (AAPL) redesigned the device into a tiny "puck" that ran a variant of the iOS mobile operating system used on the iPhone and iPad. That happened in September 2010, and we're still waiting. To be fair, there are good reasons why Apple might have opted not to open up Apple TV to its ecosystem of apps. Convincing developers to design an interface and build an experience for a third device is no easy task. And it's not like the Apple TV is a best-seller: The company has sold just 13 million of the devices since it debuted in 2007. But timing now seems right for Apple to flip the app store switch. Sales are accelerating: half of all Apple TVs have been sold over the past 12 months, CEO Tim Cook announced at an AllThingsD conference late last month. The last two versions of the Apple TVs arrived a year and a half apart from one another (at the end of 2010 and beginning of 2012, respectively). Now, we're a year and a half since the latest update. The hardware is more than capable of handling apps, since each generation of Apple TV mirrors its iPhone counterpart in processing power. Apple does feature a (very) small number of third-party apps already, including Hulu, Netflix (NFLX), Google's (GOOG) YouTube and several sports apps. It's almost as if Apple is just waiting for just the right time to open the floodgates. But if Apple waits too long, it runs the risk of ceding ground to the competition. Roku's streaming boxes continue to improve, Microsoft (MSFT) is transforming the Xbox into an all-purpose, home entertainment device, and Google remains lurking in the shadows with its Google TV platform. And new companies pop up every day promising to change television forever. An app ecosystem on Apple TV could be a competition killer. Apple could open itself up to an untapped user base that might not want to shell out hundreds of dollars for iPhones and iPads but could be willing to pay $100 to dip their toes in the water. One feature with major potential could be games. We've seen glimpses of how iPhone games on the TV might work with titles such as Real Racing 2, which can stream from an iPhone to a user's television through Apple TV. The technology is promising. Apple would likely have to develop a video game controller for the Apple TV, but there have been rumblings that one is in the works.. Opening up apps on the Apple TV could also serve as a testing ground for the fabled "iTV," a do-it-all television that everyone but Apple has promised is the path forward for television. An app-enabled Apple TV would give Apple engineers and third-party developers time to figure out what works and doesn't work in the living room before such a device ever arrives. Most importantly, with the competition feverishly trying to plant its flag, opening up the Apple TV to developers could serve as a reminder to consumers that Apple is serious about the living room. It could convince people that the Apple TV is worth a hundred bucks after all.